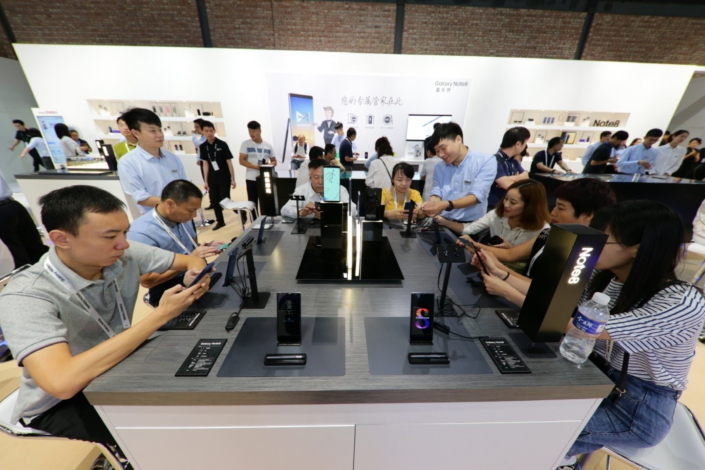 Over the past few days, Samsung Electronics introduced the highly anticipated Galaxy Note8 to the public in China, the UAE, South Korea and India via a series of interactive events and demonstrations. Attended by global media and Note fans alike, the events highlighted how Samsung’s new smartphone enables people to do bigger things. 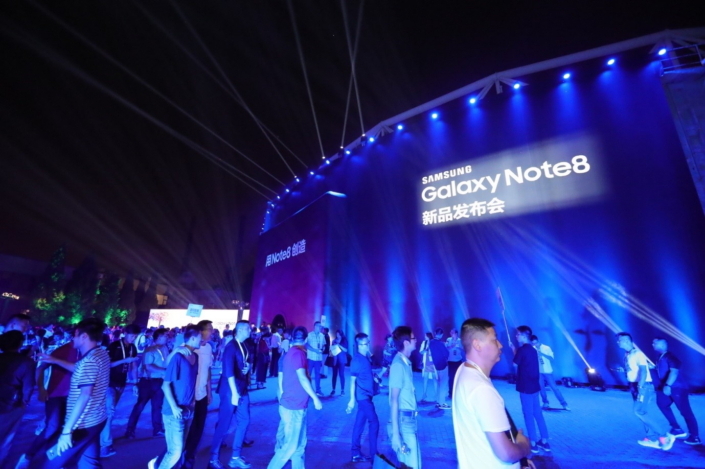 With approximately 1,000 people including media and partners in attendance, the Galaxy Note8 launch event was held at Beijing’s 798 Art District. 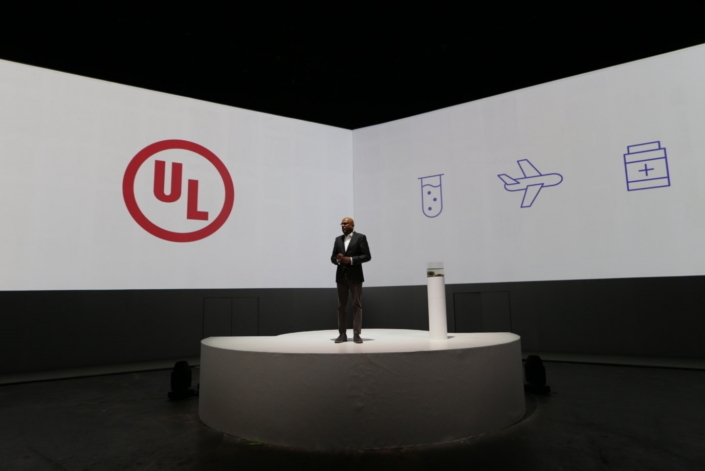 Sajeev Jesudas, President of UL, a global independent safety science company and one of Samsung’s key strategic partners, discusses the rigorous device and battery safety compatibility test protocols of the Galaxy Note8. 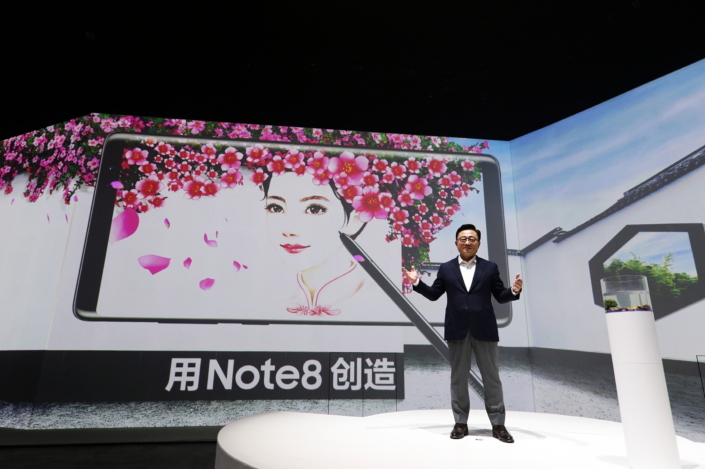 The Galaxy Note8 features optimized services for Chinese consumers, as outlined by Roger Chen, Vice President of SCIC Contents Strategy Group. 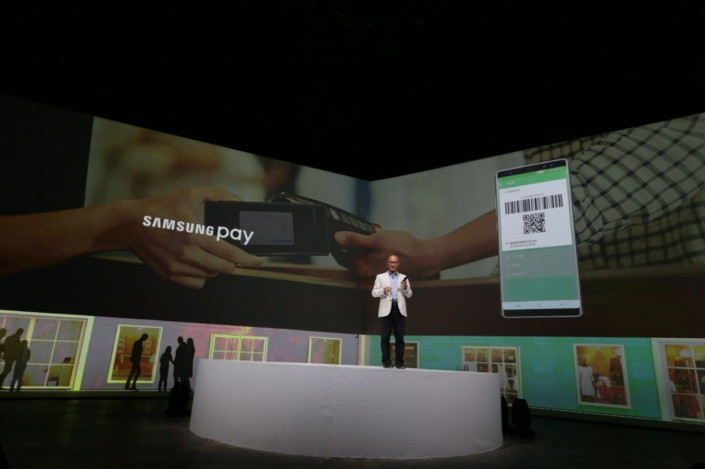 New partnerships include WeChat Pay, which along with AliPay makes it easier for Samsung Pay users to make mobile payments, and Mobike, China’s quickly growing bike sharing platform that allows users to unlock a bike by scanning its QR code with their Galaxy devices. 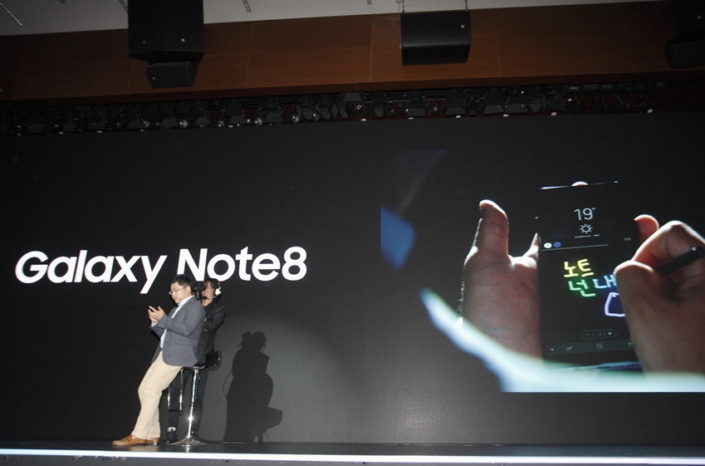 Attendees of the Beijing launch event try out the Galaxy Note8 for the first time. 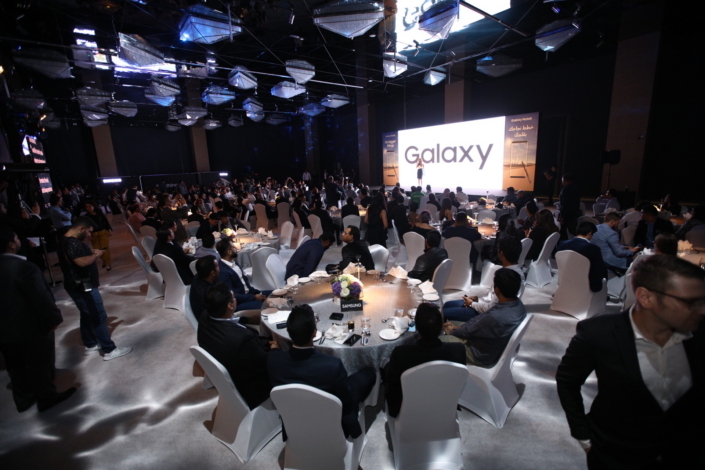 Marking the Galaxy Note8’s entry into the UAE, Samsung Gulf Electronics hosted a launch event at the Rixos Premium Dubai Hotel in Dubai. 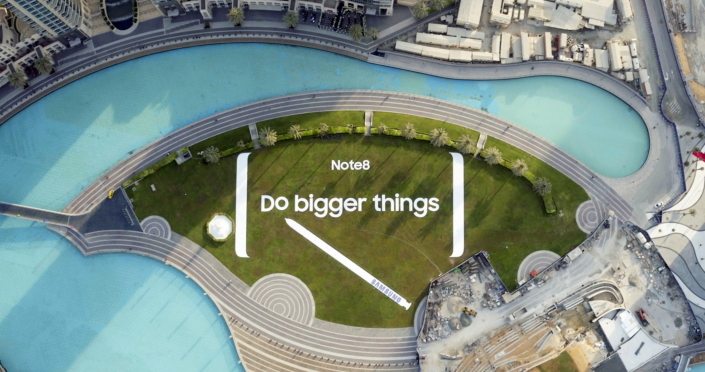 The event brought together well-known personalities from the Gulf Cooperation Council (GCC) region to showcase how the features of the Galaxy Note8 help people to get things done. 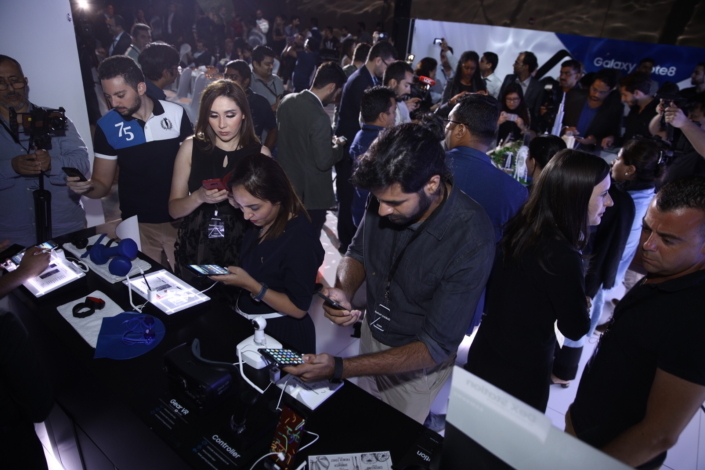 Event attendees in Dubai get hands-on with the Galaxy Note8 as well as other Samsung Galaxy devices such as the Gear 360 and Gear VR in the Experience Zone. 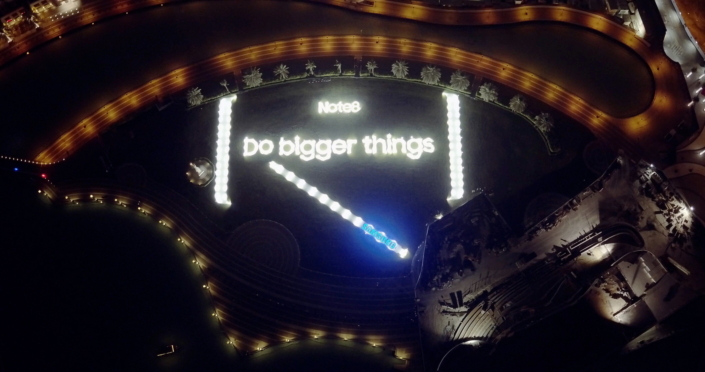 In celebration of the Galaxy Note8 launch, Samsung Gulf Electronics (UAE) installed a giant display of the Galaxy Note8 made up 37,965 LED lights in Dubai’s Burj Park. At the event, the company was presented with a certificate from Guinness World Records that named the display the “largest LED structure” in the world. 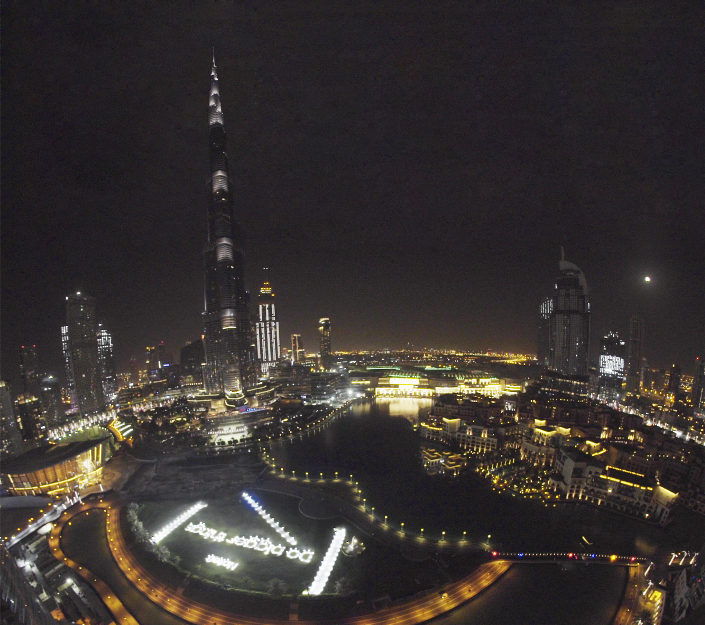 These daytime (top) and nighttime (bottom) images were captured from the 148th floor of the Burj Khalifa. 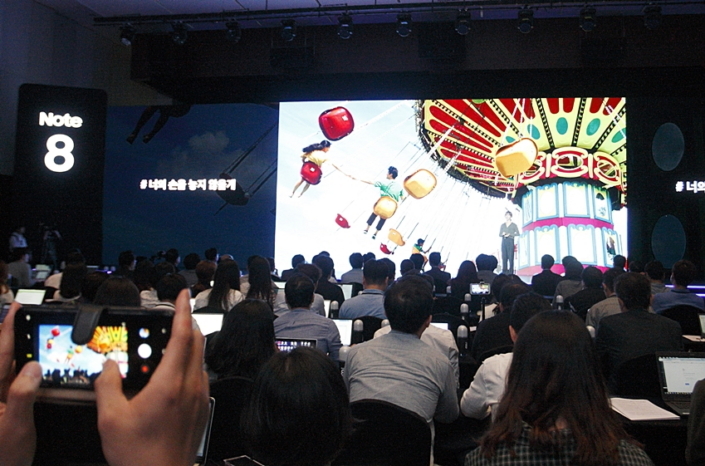 Members of the Korean press get a first look at the Galaxy Note8 at the launch event in Seoul. 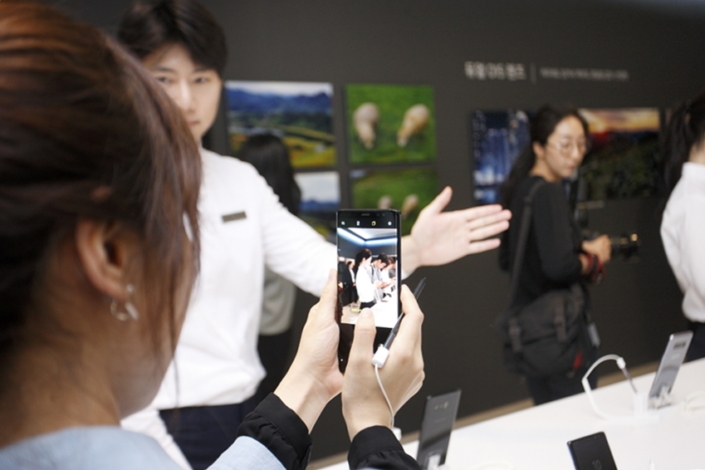 A participant experiences the new camera features of the Galaxy Note8 in the Experience Zone. Photographer Daun Kim (top) and webtoon creator Chisung Lee (bottom) demonstrate the ways that the Galaxy Note8 has empowered their leap into bigger things by highlighting how the device’s features add value to their everyday experiences. 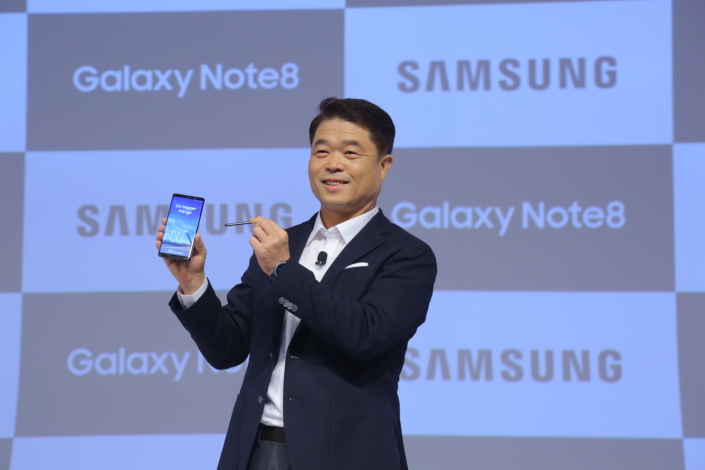 At the Galaxy Note8 launch in New Delhi, Hyun Chil Hong, President & CEO, Samsung Southwest Asia, announces that Samsung’s Bixby Voice will now understand English in Indian accents. 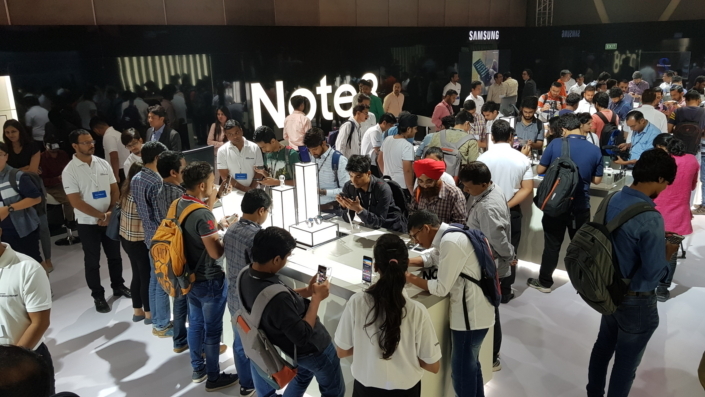 Some 250 members of the Indian press explore the features and services of the Galaxy Note8 in the Experience Zone.